It's easy to imagine I'm back in 1930 Chicago, when the historic Board of Trade building was just opened. Now a national landmark, it has actually inspired awards to owners and management for the efforts to preserve this art deco gem. 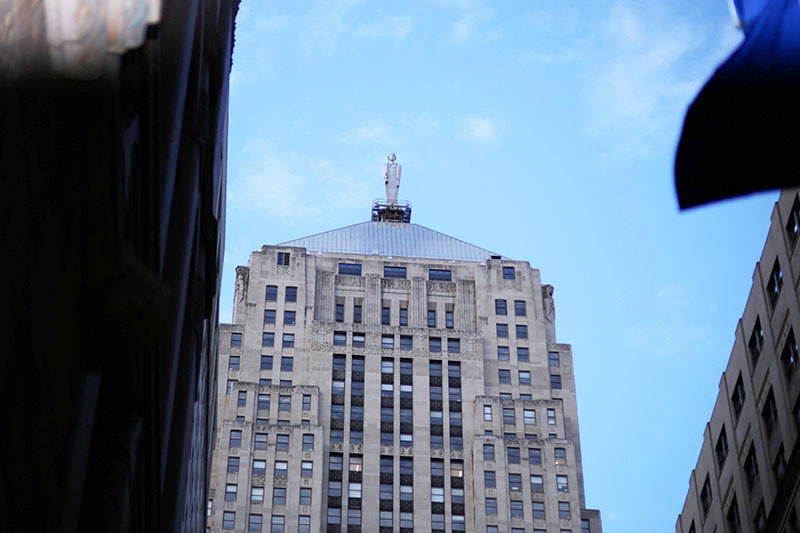 A 3-story deco statue of Ceres, Roman goddess of agriculture, stands prominently atop the 20's built skyscraper. As with the times, she symbolized a hope of prosperity in a quickly changing world. The opulence of this setting deserves equally glamorous jewels! 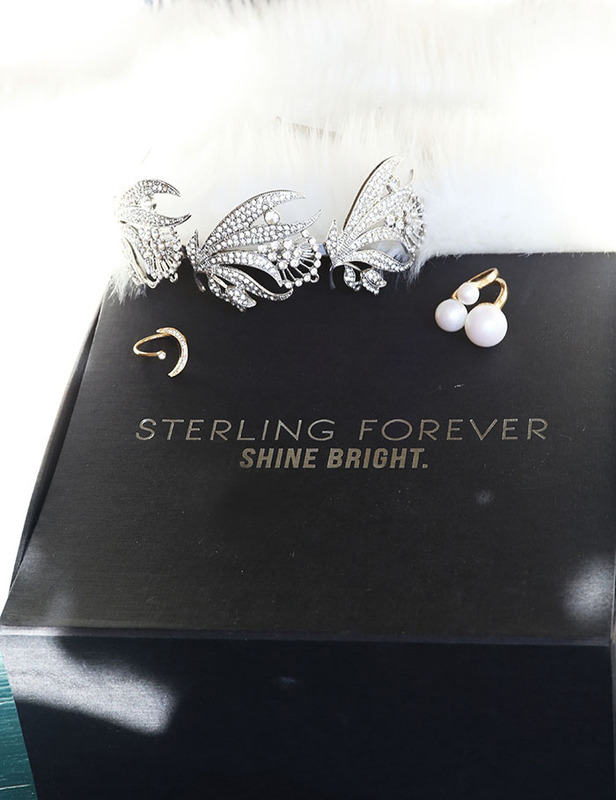 Sterling Forever has stunned me with their variety of chic, polished, dainty jewelry. What especially won me over though, was their creation of unique novelty designs that are decked out in glistening glamour, yet made with simplicity and quality. 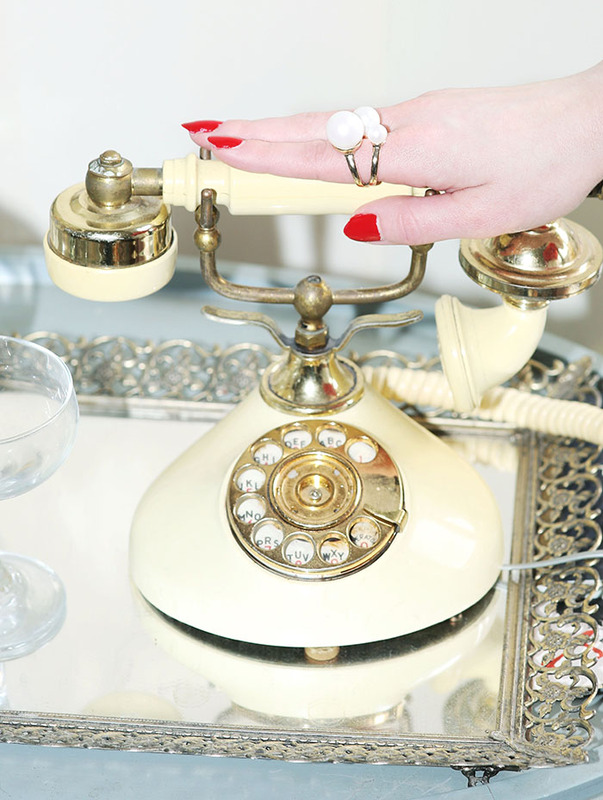 The crescent moon is a stunning 30's inspired ring made with 14k gold over brass. It is so delicate and perfect for everyday wear... it may never leave my hand! The cosmic pearl cuff ring is also made with 14k gold, and combines classic elegance with intrigue. Three bold white pearls add just the right touch of glamour and interest to just about any outfit. Yet my favorite Sterling Forever piece, is a dazzling crown-like accessory from their gatsby collection. 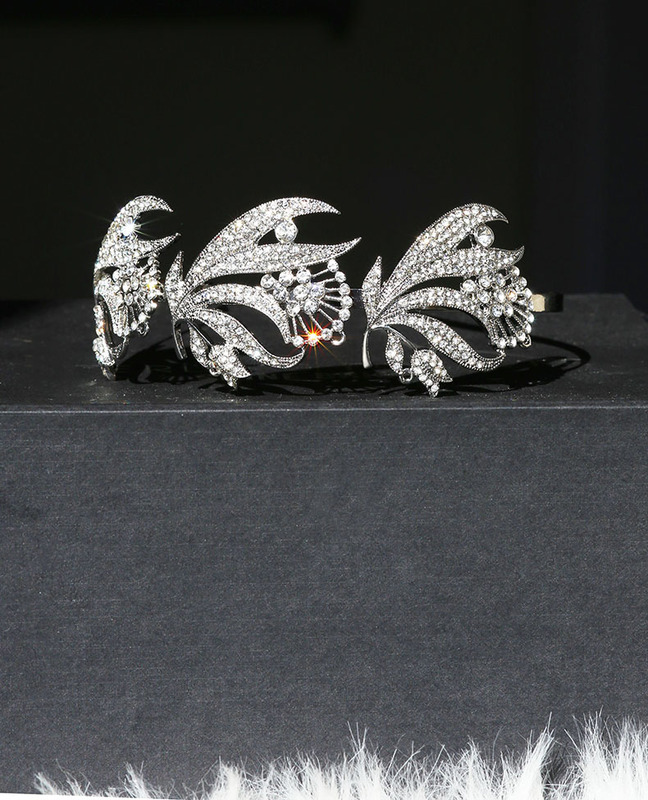 The art deco crystal headband can be styled as a Marilyn-inspired tiara, a roaring 20's flapper piece, a 30's adornment as I've done today, or simply an added sparkle of glamour for any dressy attire! The details feature an exquisite design of feathers and fans, with crystals embellished throughout. Use code: chicagochic20 for 20% off your order!